Inkjets for Education is Not Only For Schools! Inkjets for Education buys back empty ink cartridges from schools, organizations AND businesses! Your organization or company can recycle ink cartridges and raise funds. Businesses can choose to support schools in their area by donating empty cartridges, or recycle them straight to Inkjets for Education and receive payment for every ink and toner cartridge recycled. Inkjets for Education offers free shipping and pickup for packages of 30 cartridges or more. Contact us for FREE shipping labels and visit our Packaging page for more detailed information on packaging and payment. - It’s free! Most businesses use ink on a regular basis and by recycling ink cartridges instead of throwing them away, your organization can earn money and help the environment! - Raise Funds- Donating empty ink cartridges allows your organization to raise funds to use any way you choose! 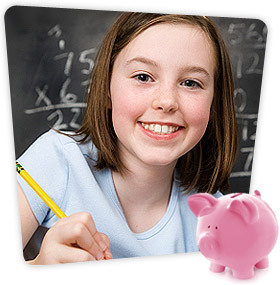 Whether its donating to schools in your community, your favorite charity, or to fund a company celebration, Inkjets for Education provides a simple and easy fundraising system. - Helping the Environment- Recycling empty ink cartridges is a simple initiative that makes a big difference in our world. Millions of cartridges end up in landfills every year, but by recycling ink cartridges that can be used again, it reduces waste and earns money for your organization. Get started today by initiating a program in your organization. Collect at least 30 cartridges and we’ll send you FREE shipping labels! For details see our Accepted Cartridges & Values page, our How it Works page, the Start a Program page, and our Packing Instructions page. For shipping labels, contact us via phone or through our online form.